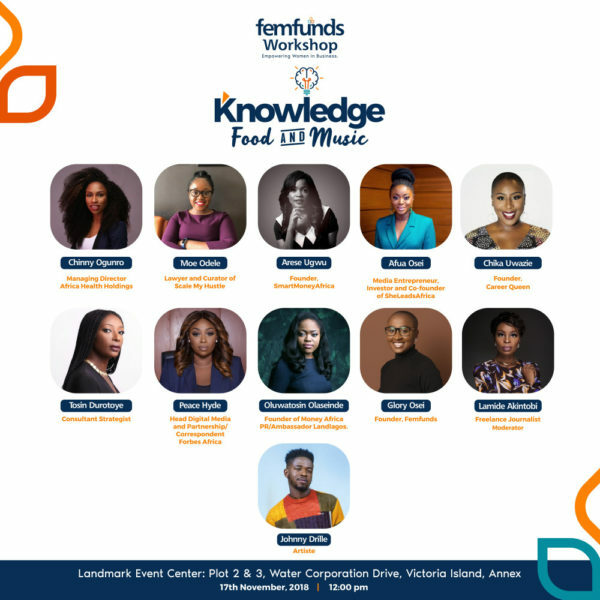 Femfunds is set to host the second edition of its workshop themed “Knowledge, Food & Music”. 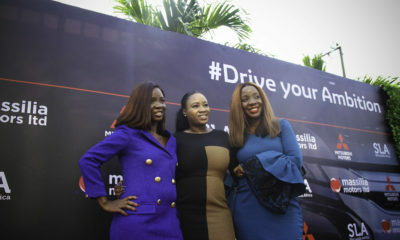 The first edition which took place in September had speakers such as Moe Odele, and Stephanie Ani sharing their experiences in business, inspiring entrepreneurial journey as well as educating upcoming and existing business owners on how to develop their brand and run a successful business. The second edition is set to hold this Saturday, November 17th, 2018 with Lamide Akintobi as the event host and a fascinating line up of speakers such as the Femfunds founder, Glory Osei alongside Chika Uwazie, Tosin Durotoye, Moe Odele, Afua Osei, Arese Ugwu, Peace Hyde, Chinny Ogunro, Oluwatosin Olaseinde sharing their experiences and enlightening female entrepreneurs with the needed orientation and skills to run a successful business enterprise. 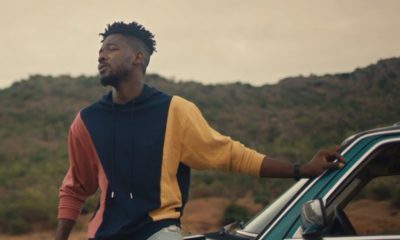 There’ll be food, drinks and a musical performance by Johnny Drille to cap off the event. Venue: Landmark Event Center, Plot 2&3 Water Corporation Drive, Victoria Island, Lagos. The event kicks off at 10:30 am and early arrival is strongly advised. 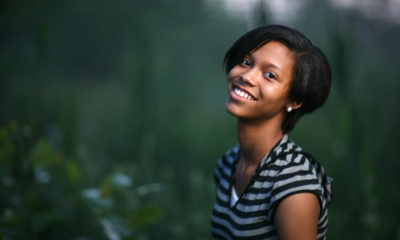 This event is absolutely free Visit www.femfunds.org to RSVP. See you there!